The political establishment in Virginia was rocked late last week by the publication of old photos allegedly showing Governor Ralph Northam in blackface. Given the current sensitivity over the subject of blackface there were immediate calls for Northam, a Democrat, to resign. But from there the story just continued to get weirder and weirder. That leads one to wonder who is behind the recent revelation, and why. But the very next day Northam called a press conference to deny that he was one of the men in the photo, but that he had dressed in blackface as Michael Jackson once for a dance contest. He was even ready to do the moonwalk at the press conference before his wife warned him that it would be inappropriate. Thus far Northam has resisted calls to resign. If he were to resign, Northam would be replaced by Lieutenant Governor Justin Fairfax. If Fairfax were to take over as Governor, he would then be able to run for re-election in 2021, a rarity in Virginia as Governors are barred from being elected to two consecutive gubernatorial terms. Fairfax and Northam experienced some strain in their relationship during the gubernatorial campaign as Fairfax, a black man, was left off some Northam campaign materials, leading to accusations of racism. So was Fairfax behind the publication of Northam’s photos? That’s certainly a possibility, particularly as allegations of sexual assault against Fairfax were made public on Monday. Fairfax blamed Northam for publicizing the allegations. It certainly appears that there isn’t any unity within the Democratic political establishment in Virginia, with Northam representing the old school rural Democrats and Fairfax representing the new progressive Northern Virginia Democratic wave. However the situation ends up resolving itself, it’s clear that something is dreadfully wrong within the Democratic Party in Virginia, and the political infighting that is going on will likely affect the Democrats’ ability to govern in Virginia. A party that is split internally won’t be able to unite in passing legislation. That’s good news for conservatives who are trying to oppose the progressive policies pushed by Northern Virginia liberals. But whether Republicans will be able to capitalize on this during the 2019 elections is debatable. After all, these photos should have been discovered by the Gillespie campaign in 2017. 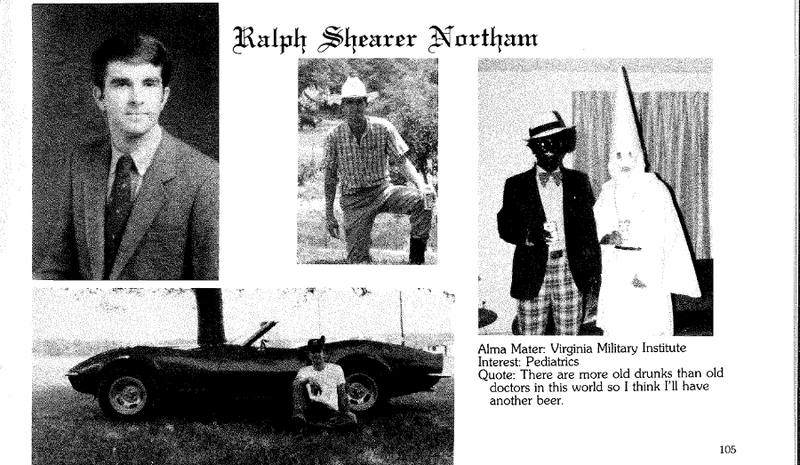 The fact that they couldn’t or wouldn’t dig up these photos leaves one doubtful of the ability of Republican politicians in Virginia to provide effective resistance against the Democrats and their policies.